Add a smokey purple base. Blend out the edges. Use the base you have to form a wing. For the following 4 steps: Do NOT blend too close to the wing. 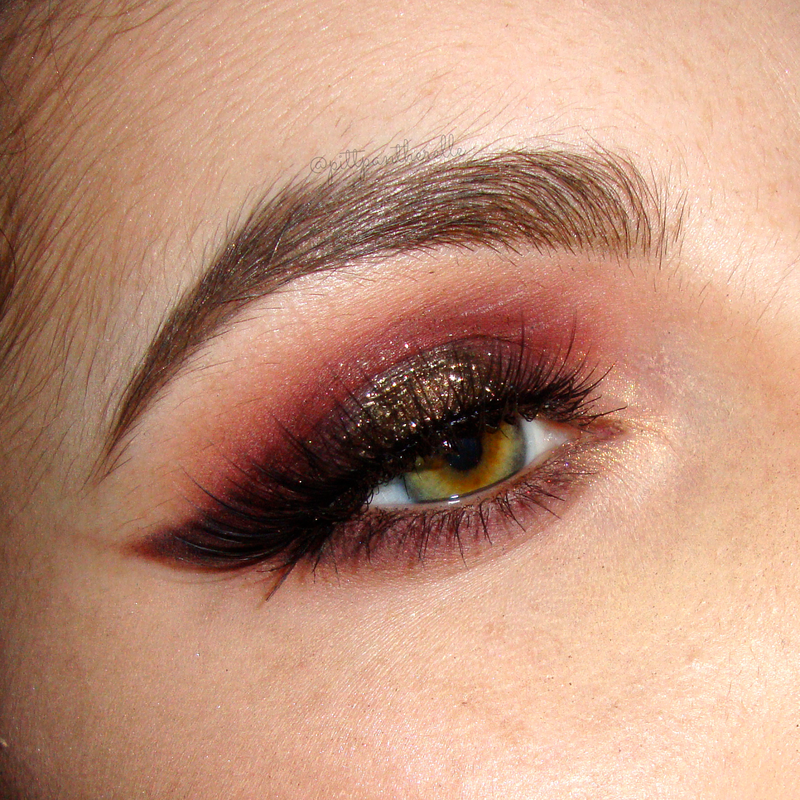 Add a warm brown to the crease as a transition color and to add eventually add warmth to the look. Pat a dark plummy maroon color on the lid. Slightly blend the edges. 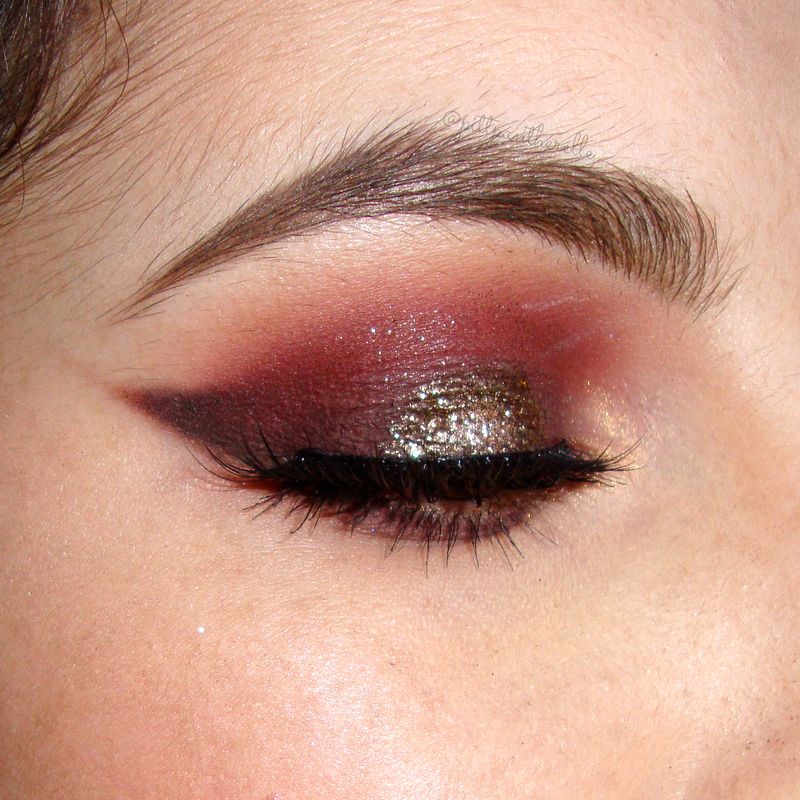 Blend a red leaning maroon into the crease. Be more precise when blending it. Intensify the wing. Add the plummy maroon shadow on the base. Optional: Make the edge of the wing darker to emphasize it. You can now blend a red leaning maroon in the crease towards the wing. You can now blend the transition color in the crease towards the wing. Add a slightly darker, warm brown to add warmth. 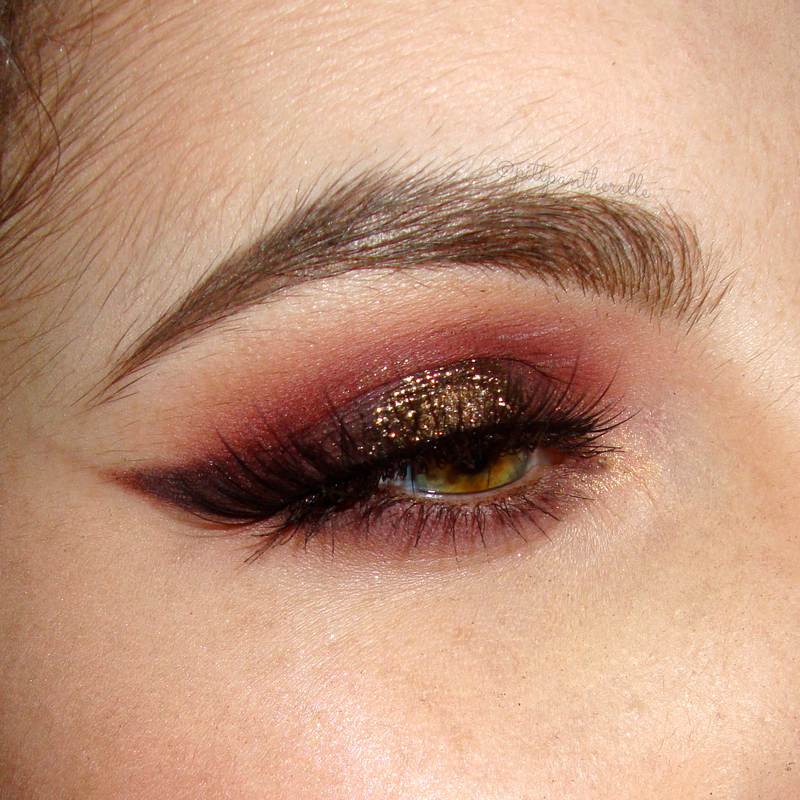 Place and blend the plummy, maroon color 3/4 he way on the lower lash line. Add a warm and golden inner corner highlight.